A woman murders her husband, upon his return home after a long absence, with the complicity of the lover who has relieved her loneliness. Costas Ghoussis, an emigrant recently returned to his native country, is coming back from the fields, a shovel on his shoulder. He pushes open the garden gate in front of his house and calls his wife: Eleni! She does not answer; the reason: she is hidden behind the door of the kitchen with another man, Christos, a gamekeeper, the lover that she took during her husband’s absence. 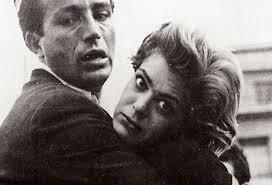 Just as Costas crosses the threshold he is attacked and strangled. Despite their precautions, a relative of the victim suspects them and alerts the police. The criminals confess their crime. The reconstruction is that of the examining magistrate, whose inquiries are interspersed with sequences of the crime – although the actual murder is never shown – and with a social documentary which a TV unit (including the director himself) is making about the crime and the village. The story of a group of Rembetes, singers and musicians of the Greek equivalent to the blues, in the early decades of the 20th century, seen through the eyes of a young female singer. The women of Troy face enslavement after the fall of their city. Inspired by the real-life story of a bus hijacking in Northern Greece, HOSTAGE explores the sensitive issue of Greek-Albanian relations through a young Albanian who takes over an intercity bus. Upon hijacking the bus, he takes the seven passengers hostage and demands a ransom of half and million euro, and safe passage to his homeland of Albania. Surrounded by police, the bus trundles towards the Albanian border and the tension mounts until the final harrowing conclusion. Marina’s sister drowned herself, her brother is both headstrong and weak, and her widowed mother has a reputation for sleeping around. Plus, Marina, who’s family was rich before the war, is aloof: so she’s the object of the jealousy and scorn of Hydra’s young men, especially Christos, whom she rejected. She fears harassment whenever she leaves her house. When two Athenians on vacation board at Marina’s family home, things come to a head: she falls in love with Pavlos, one of the visitors, and he with her. 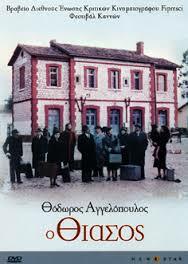 The young men in town stalk and jeer her; then play a cruel trick on Pavlos that goes awry with tragic results. Can any good come from the catharsis of tragedy? “A Touch of Spice” is a story about a young Greek boy (Fanis) growing up in Istanbul, whose grandfather, a culinary philosopher and mentor,teaches him that both food and life require a little salt to give them flavor; they both require… A Touch of Spice. Fanis grows up to become an excellent cook and uses his cooking skills to spice up the lives of those around him. 35 years later he leaves Athens and travels back to his birthplace of Istanbul to reunite with his grandfather and his first love; he travels back only to realize that he forgot to put a little bit of spice in his own life. A famous politician sends to Crete his 13 years old son to baptize a child instead of him. There he will be for first time Godfather in the sake of Democracy and his father ‘s love. Stars: Antonis Kafetzopoulos, Eleni Kastani, Tex Pardiou. To appease offended gods before going to war, a commander must sacrifice his favorite daughter to them but does so under the pretext of marrying her off. This is really a great article and great read for me. It’s my first visit to your blog and I have found it so useful and informative especially this article. I have bookmarked it and I am looking forward to reading new articles. Thanks for this article. Keep up the good work!